For as long as I can remember, marketers have hailed email marketing as the best strategy in terms of ROI and difficulty. Done correctly, email marketing drives a constant stream of traffic to your content. 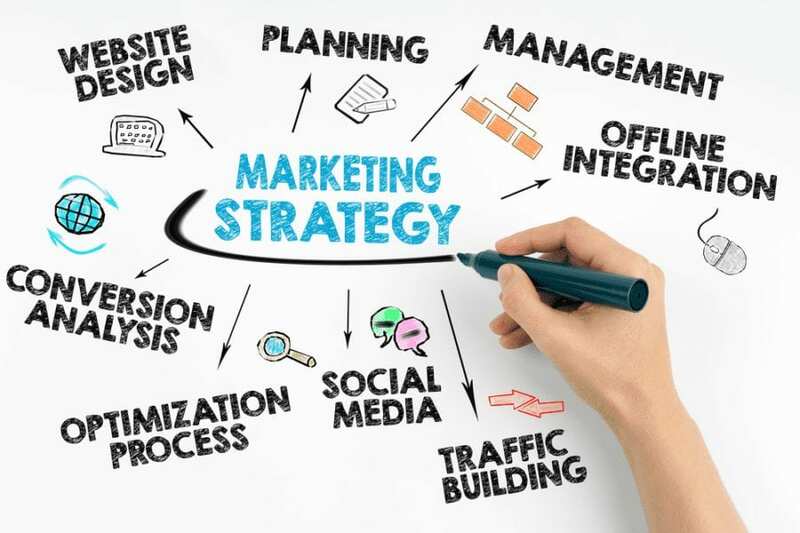 It also lets you connect with your audience on a more personal level, maintain brand awareness, and schedule your marketing messages for more ideal times. 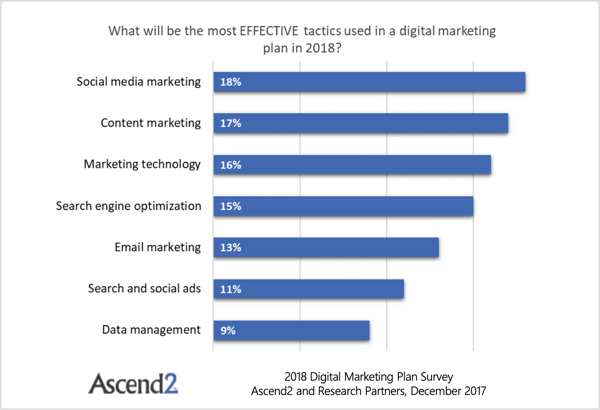 A recent survey by Ascend2, however, reveals that email marketing has been overtaken by four things: SEO, marketing technology, content marketing, and social media marketing. To most people, these findings would end the “email marketing versus social media marketing” debate once and for all. Smarter marketers, however, would take the comparative success of both tactics as a signal to look for ways to combine them. Let’s look at the facts. The success of an email marketing campaign is tied to the number of leads who are subscribed to your list. To generate leads, the typical approach is to drive traffic to a landing page, which is something social media platforms excel at. Other than social ads that let you take advantage of a network’s massive and diverse user base, social media websites serve as reliable content distribution channels for your lead generation landing pages. In return, you can leverage a growing email list to boost your social media followers. You simply need email templates with links directing subscribers to your social accounts—that is, of course, if they don’t already follow you. So how do you design a campaign that seamlessly fuses these two components? Start with a solid Facebook ad campaign that promotes your landing page to as many people as possible. Effectively advertising on Facebook requires you to learn several audience-targeting options, different ad formats, and advertising practices that will maximize your results. The setup process is easier and more streamlined than ever, thanks to Facebook’s pre-configured options. To get started, head to your Facebook page and click the Promote button below the navigation tabs. To create a Facebook ad campaign that sends traffic to your lead generation pages, scroll down the list of goals and choose Get More Website Visitors. In the Promote Your Website window, specify the URL of the page you’re promoting. Note that you can see a preview of your ad on the right for multiple placements. 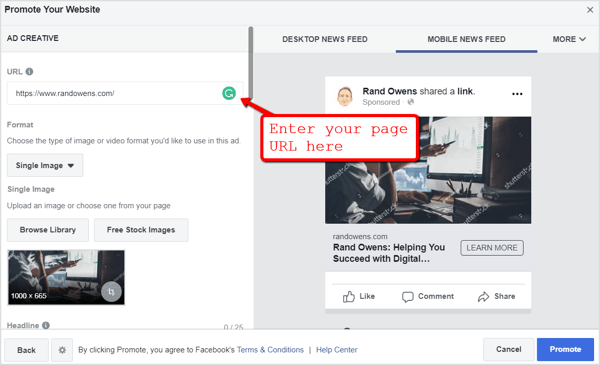 You can also change the format of your Facebook ad if you want. In most cases, a single image ad should do the job of promoting a landing page. But if you have the right visual assets, you can opt for the video, carousel, or slideshow ad format. The other elements you can modify are your ad’s headline, copy, call to action (CTA), and target audience. Here are some tips for crafting these ad elements. The role of your headline, along with the featured image in your Facebook ads, is to capture the attention of your target audience while giving them an idea of what your business can do for them. You can accomplish both goals by emphasizing your audience’s pain points, mentioning actual numbers, and instilling a sense of urgency. Facebook ad headlines have a 25-character limit, so choose your words wisely. Once you have your audience’s attention, the ad copy should fill in the details they need to know before they can take the next step. Some of the ground rules are to make sure the text matches what you show on the image and focus on a clear, concise value proposition. To boost the impact of the copy in your Facebook ads, adopt the preferred communication style and language of your target audience. For the most part, a friendly, conversational tone is helpful in getting your brand’s message across to Facebook users. The CTA gives the audience one last push into clicking. 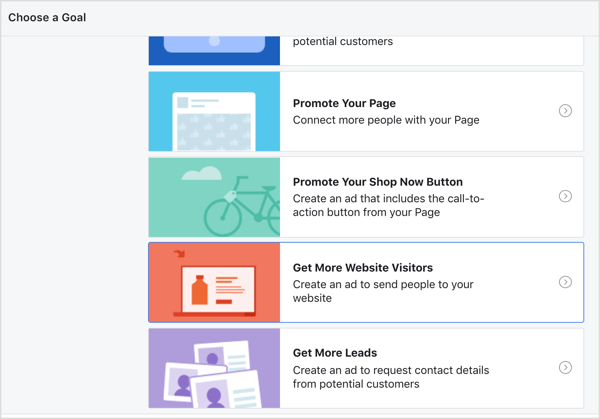 Facebook has simplified this process by providing pre-defined CTAs for all campaign types. Sign Up and Learn More are two of the CTAs that work well for lead generation. After you finalize the look of your Facebook ad, the next step is to define your target audience. As an ad platform, the targeting options on Facebook are impressive. 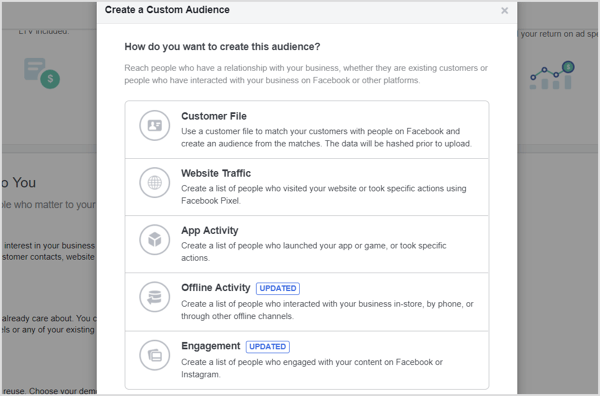 In addition to creating target audience profiles based on user demographics and interests, you can also set up a lookalike audience based on data gathered from the Facebook pixel, your page followers, or your app users. Alternatively, you can build a custom audience to use information from additional data sources, like a linked Instagram account, a specific Facebook event, and offline event sets. Pay attention to the audience you create for your Facebook ads. The rest of the steps in this article (from building landing pages to creating nurturing experiences) should be tailored to their preferences and goals. The last thing you need to configure before you launch your Facebook ad is your budget. Check out this article to learn the ins and outs of efficient Facebook ad budgeting, such as specifying target revenue and creating custom conversion paths. Creating Facebook ads that can turn the heads of potential subscribers is only a part of the equation. You also need to design landing pages that compel your audience to take action. Naturally, a well-funded business with an in-house web development team should have no trouble with this step. 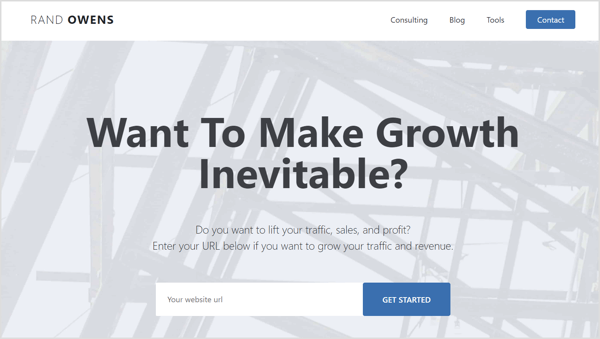 If you’re a startup, solopreneur, or freelancer, on the other hand, you might want to use a dedicated landing page builder like Instapage, which eliminates the need for an experienced web designer to create professional-looking landing pages. Instapage kickstarts the design process with ready-to-use landing page templates. The tool offers a 14-day free trial and paid plans start at $99/month (when billed annually). To quickly find a template that matches your goal, select the Lead Generation checkbox on the template selection page. 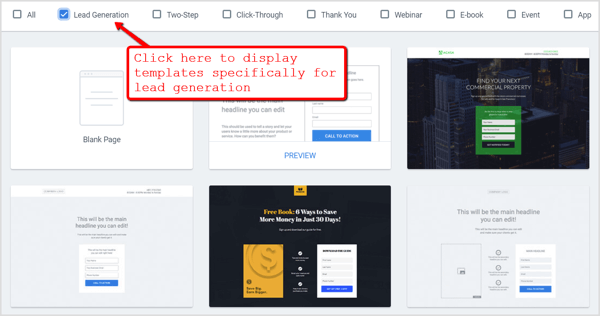 Although the lead generation templates vary slightly in terms of design, they all feature the same on-page elements necessary for conversions. Apart from the prominent headline and short value proposition, they also prioritize the visibility of the essential form fields and CTA. To explore more of Instapage’s features, go with the Blank Page template. After you give your landing page a name and go through a short tutorial, you’ll see the main Instapage editor. Here, you can start piecing together your landing page. On the main toolbar, click the elements you want to include, which range from CTA buttons to form fields. Because most landing page builders are capable of producing similar results, there’s no need to be picky. What’s important is that you follow design principles that provide your audience with a frictionless experience and encourage them to follow through with a conversion. Although the web design industry has been trending toward minimalism in recent years, businesses never truly omit the use of a featured visual asset in landing pages. Visual content is simply much more effective than text in capturing the audience’s interest, be it an explainer video, a background image, an infographic, or a product photo. Remember, the visual content itself doesn’t always have to stand out. As long as it draws attention to the other conversion elements on your landing page, it should work. A distraction on a landing page can be anything that breaks the engagement or diverts the audience’s focus away from the conversion path. Upon arriving at your landing page, most (if not all) users have one question: what’s in it for me? Your job is to provide them with a clear, solid answer as fast as possible. That’s why your main headline should highlight a user-oriented value proposition that’s centered on your target audience’s needs. Use negative superlatives. Negative superlatives, like “worst,” “never,” or “lowest” can significantly increase click-throughs in headlines. Use top phrases. A 2017 survey conducted by BuzzSumo revealed that headlines that contain certain phrases like “will make you,” “this is why,” and “are freaking out” garner significantly more engagement on Facebook. Don’t forget that you’re designing landing pages for users who click your Facebook ads. According to Statista, 75% of Facebook users access the platform on mobile devices, so it’s vital to optimize your landing pages for mobile displays. The good news is that most landing page builders, website platforms, and content management systems support responsive design out of the box. But that doesn’t mean you shouldn’t put any effort into mobile optimization. 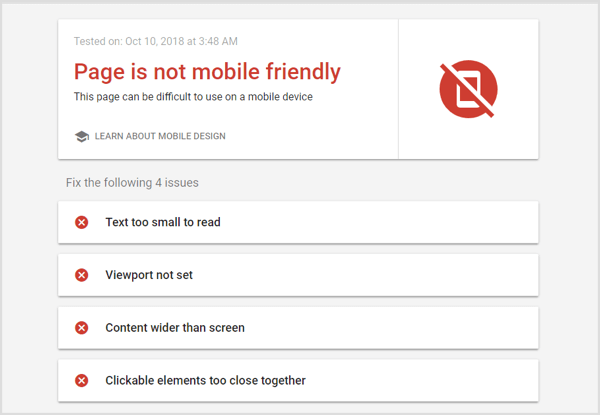 A great place to start is the Google Mobile-Friendly Test. Just enter the URL of your landing page, wait for the evaluation to complete, and look for optimization suggestions. Even with an experienced team by your side, it’s virtually impossible to get a landing page right the first time. If you use the proven landing page tactics above, there will still be some trial and error involved in determining the best design and structure for your website. An A/B or split testing tool can significantly reduce the time it takes to gather sufficient data regarding your landing page’s performance. It works by letting you test two or more variations of your landing page simultaneously. 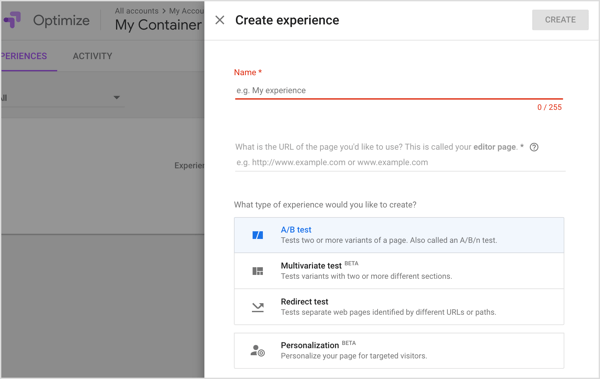 Landing page builders like Instapage have an A/B testing tool built in, but you can also use external platforms like the free Google Optimize tool to test two or more versions of a web page. You now have all of the pieces in place to start generating quality leads. Your social ads are hard at work bringing in traffic, and your landing pages should help convert these visitors into subscribers. But you’re not done just yet. You still have more to do to truly win the trust of your new leads and eventually convert them into paying customers. First, make sure they’re fully aware of what they signed up for. In lead nurturing, creating a welcome email is perhaps the easiest step. If you use an email marketing tool like Mailchimp, you have the tools you need to build and schedule a welcome email. A welcome email not only lets you show your appreciation for new subscribers but also set their expectations and make them more receptive to your future emails. It may seem counterproductive, but include an unsubscribe link in your welcome email. It will help you filter out unqualified leads early so you can accurately measure the growth of your email list as far as high-quality leads go. Awareness: The awareness stage is where people are just discovering your brand. These are the leads who need a welcome email with links to useful resources to get them started, including blog posts, case studies, and other types of educational content. Consideration: Leads in the consideration stage of a conversion funnel aren’t necessarily ready to make a purchase yet. They still need more validation from product reviews, tutorials, free trials, and other product-centered content before they’ll have enough confidence to take the next step. Purchase and repurchase: In email marketing, you can segment all existing customers into one list regardless of whether it’s their first purchase. At this point, your objective is to build brand loyalty with cross-selling emails, review requests, and special event offers. Email subscribers you’ve acquired from social ads are probably in the awareness or consideration stage of the sales funnel. To segment them accordingly, email marketing platforms like Mailchimp and Drip let you automatically sort your leads based on activities such as page visits, purchases, or signups from specific sources. Just like landing pages, you must constantly test and improve emails to reap their full benefits. Modern email marketing platforms have built-in analytics tools that help you with this goal. If you want a head start, take a peek at the email campaigns of the top brands in your niche. Really Good Emails is a straightforward free tool that lets you do this. All you need to do is enter a keyword that describes the kind of email you want to create and wait for suggestions to come in. If you prefer something more comprehensive, WhoSendsWhat might be the tool for you. 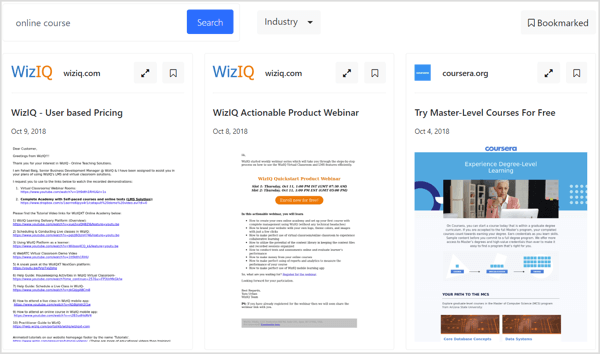 It lets you bookmark emails for future reference, sort email samples by industry, and start your search with specific domains. It also provides a more diverse selection of emails, including those that clearly didn’t use a design-oriented template. That’s it—real examples of lead nurturing emails you can borrow inspiration from. Pay close attention to how they present the key takeaways of their email, the focus of their headlines, and the overall tone of their content. 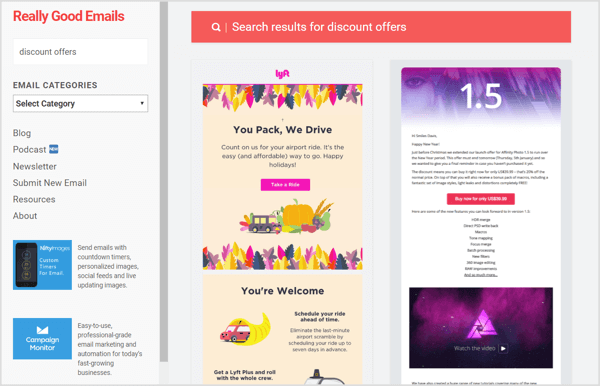 The steps above for designing successful email campaigns that complement your social ads look easy on the surface, and they are with the right tools. But only you can uncover the pivotal steps to success for your own brand. Optimizing landing pages and developing email content are processes that don’t have a one-size-fits-all solution. You need to take the knowledge above, do your own experiments, and formulate a recipe that can accomplish your unique goals. What do you think? Can you think of any steps to add that affect the outcome of a successful email marketing campaign? What strategies and tools do you use in your Facebook ads and email marketing campaigns? Feel free to voice your thoughts in the comments below!